There's a lot of talk on other sites about how Troy Tulowitzki has finally been dethroned from atop the fantasy shortstop rankings. That doesn't fit in, here, since we were the only ones over the past 3 seasons with the insight to tell you not to take Troy Tulowitzki as your first shortstop option (and we were right, by the way). Nonetheless, Ian Desmond, our top fantasy shortstop pick over the past couple of years, has been dethroned by Carlos Correa. For one thing, Desmond had a pretty dismal year by his standards. But even if he had his usual good stats, he still would have been knocked off the top of the shortstop mountain by Carlos Correa. Francisco Lindor's fantasy stats in the majors were better than his minor league stats. Can that trend continue? In just 99 games, Carlos Correa led all shortstops with 22 HR, and you can expect 30+ from him in 2016. He also ranked 6th in overall RBI (68), and he hit .279 and was on pace for 20+ stolen bases in a full season. Correa is just 21 years old going into the 2016 season, so let's let the comparisons to Alex Rodriguez begin, shall we? 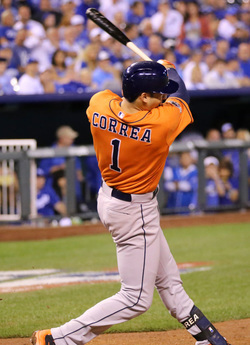 After last season, there's no legitimate argument against ranking Carlos Correa as the top fantasy shortstop. 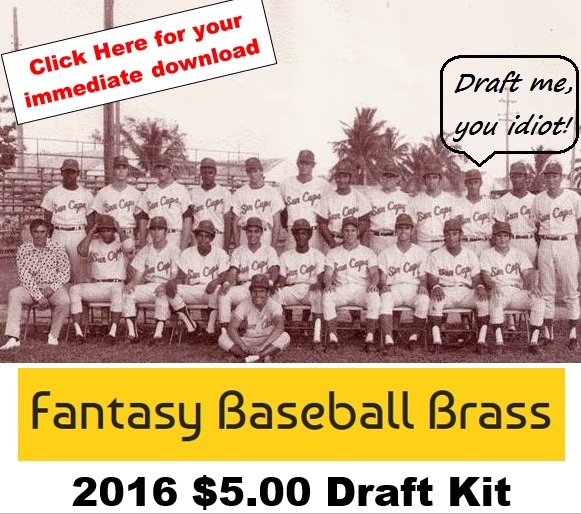 Take Carlos Correa as high as you want in your draft and pay whatever you want to pay for him in an auction draft. But, as you'll see below, there are still quite a few top-notch fantasy shortstops out there past Correa. Francisco Lindor is a tempting pick after he saved a lot of fantasy teams last year from the waiver wire. But... we're a little concerned that his debut, major league numbers were better than his numbers in the minor leagues. Not to say that can't happen, especially when you look at the fact that, like Carlos Correa, he's only 21, and a 21 year old ball player is significantly different from a 19 or 20-year-old player. 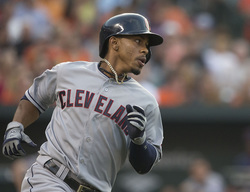 Still, though, we think Lindor's stats will remain solid. The one thing we'd look for is a slower HR pace, if anything, but even if he maxes out at 12-15 HR, that's still a win for your fantasy team, because it'll go along with his expected 80+ Runs, 70+ RBI and 20+ stolen bases in 2016. The other obvious, newcomer pick is Cory Seager. He's going to go way too early in your draft, or he's going to go for too much money (to some Dodger fan) in your auction draft. These guys are expecting Seager to hit .300 with 30 HR and 100 RBI this season, and we're here to tell you it's not gonna happen. We expect good things out of Seager, but more along the .280 with 20 HR, 70 RBI and 80+ Runs area. Still totally solid and worth your draft pick, but don't expect Cory Seager to carry your team like Carlos Correa can. Again, there are a lot of super-solid shortstops available past Seager, so don't panic if you don't get him. Click here to read our 2015 Shortstop Archives.